Equipment manufacturer MacGregor and ESL Shipping, a subsidiary of diverse Finnish conglomerate, Aspo, have agreed to jointly develop and test an autonomous discharging feature on MacGregor bulk handling cranes. The cranes will be fitted on board ESL Shipping’s two new liquefied natural gas-powered handysize bulk carriers. “Our new environmental friendly LNG fuelled ships will be operated in very demanding trade with high number of voyages, port calls and crane operation hours annually. Autonomous operation will further increase our competitiveness and offer our clients unforeseen efficiency and safety,” commented Mikki Koskinen, managing director at ESL Shipping. 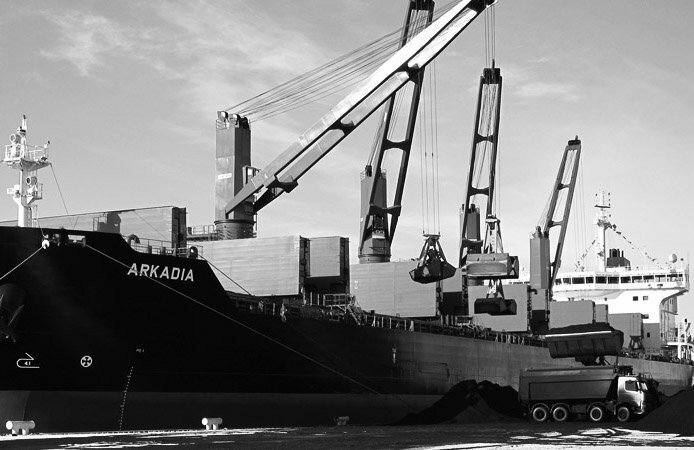 Last November ESL Shipping and the steel company SSAB signed a long-term frame agreement covering SSAB’s inbound raw material sea transport within the Baltic Sea and from the North Sea amounting to 6m to 7m tons a year. ESL Shipping order these LNG-fueled ships to fulfill the contract. These ice-class 1A ships will be the first LNG-fuelled large bulk carriers in the world. CO2 emissions per ton of cargo transported will be reduced by more than 50% in comparison to present vessels, the company claimed in a release last year.